Get News & Updates from CCST! Our Spotlight newsletters include stories about CCST's projects, programs and activities, our Science & Policy Fellows, Teacher Advisory Council, and more. 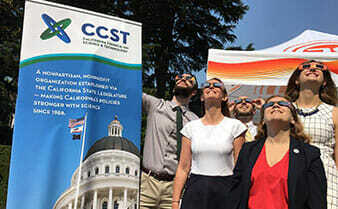 Sign up for our CCST Spotlight Newsletter for regular news roundups from the California Council on Science and Technology! You can also see a copy of all of our archived spotlight newsletters below.